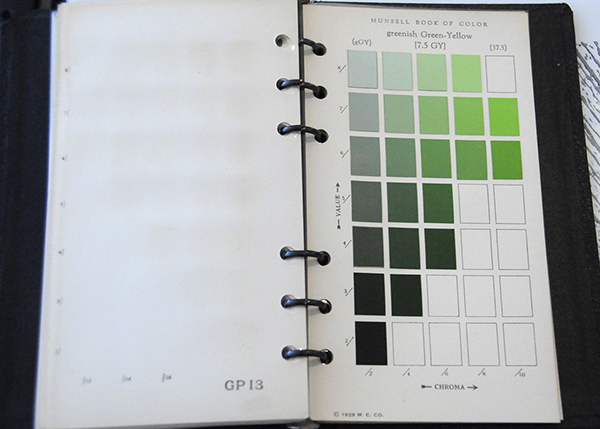 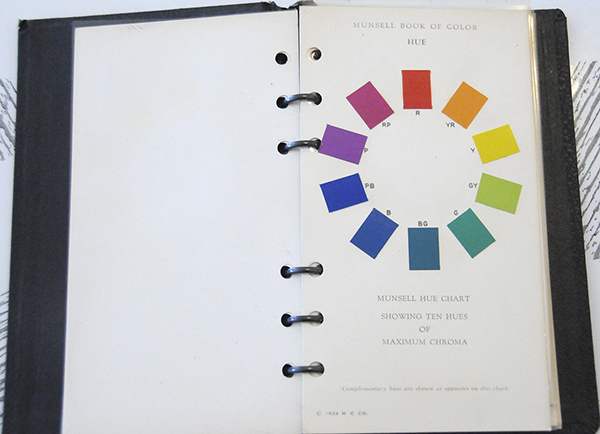 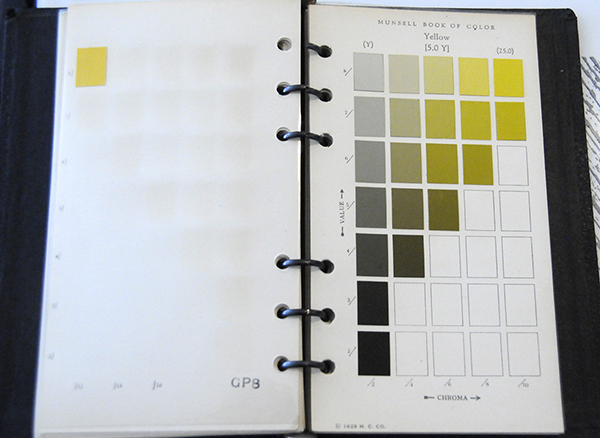 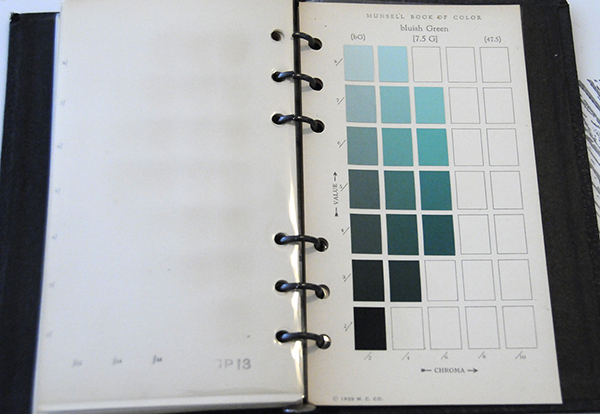 From 1942, a first volume pocket-sized adaptation of the original Book of Color includes 19 color charts, separated by clear Mylar sheets in a 6 ring binder. 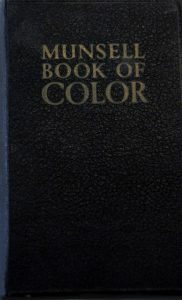 This particular vintage edition actually belonged to Albert Ector Orr Munsell. 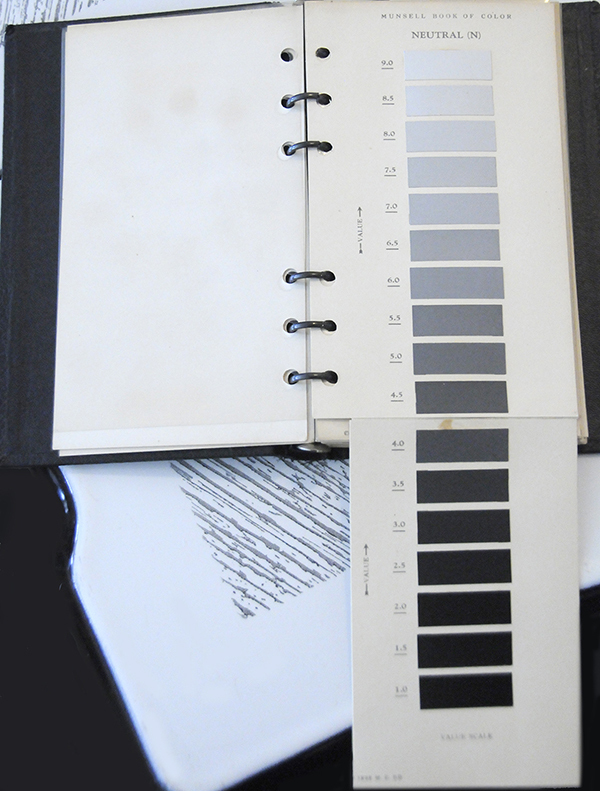 We had the pleasure of meeting his granddaughter and great-grandson, and combing through their collection of photographs and books. 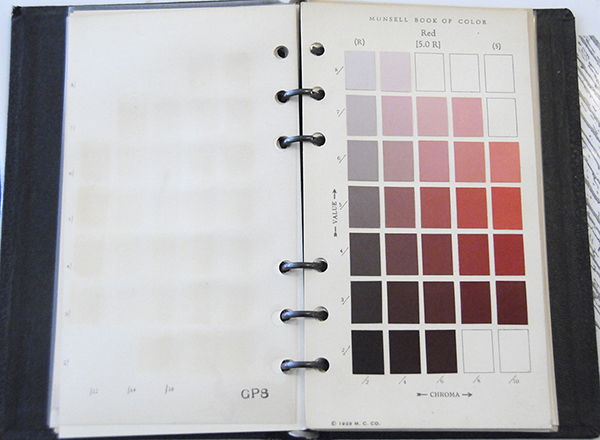 We can only imagine the places and colors this book has seen. 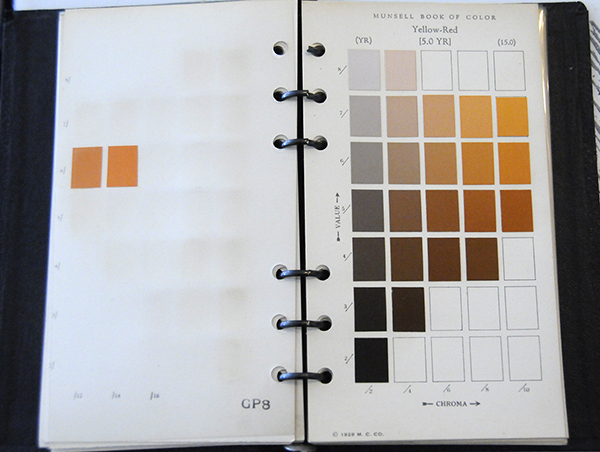 Stay tuned for more vintage materials from this special visit. 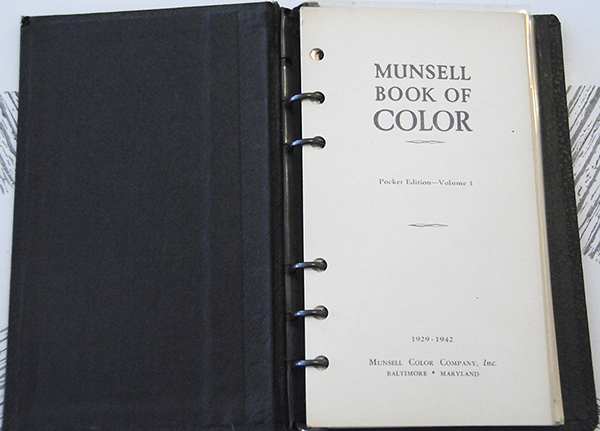 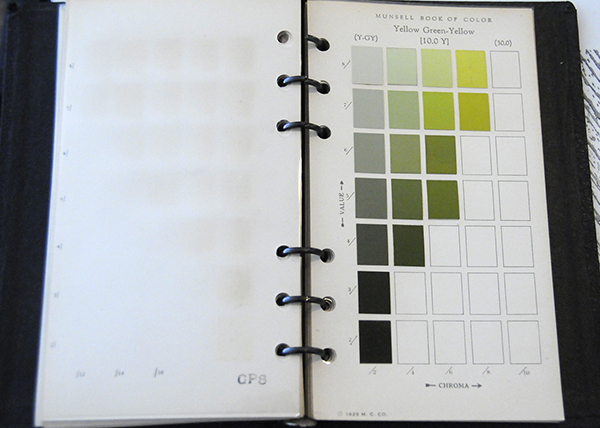 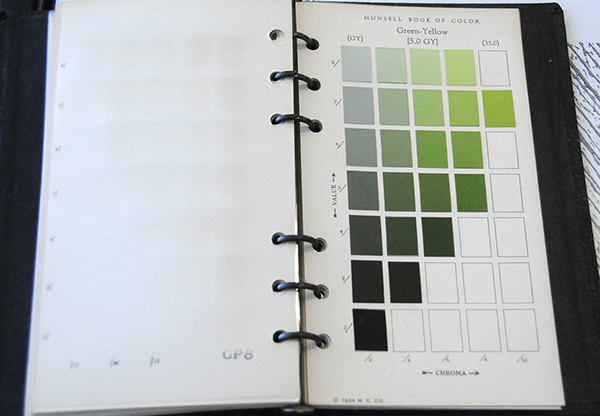 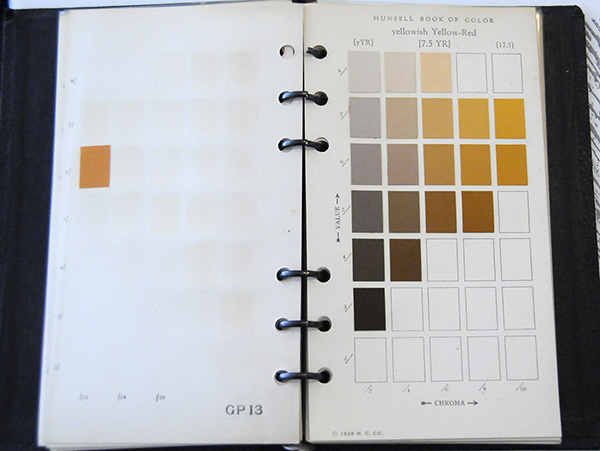 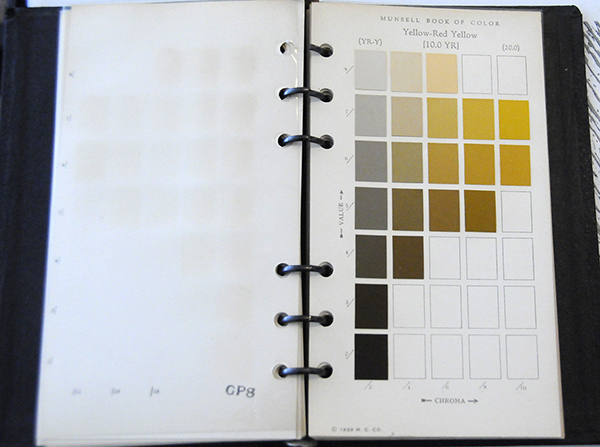 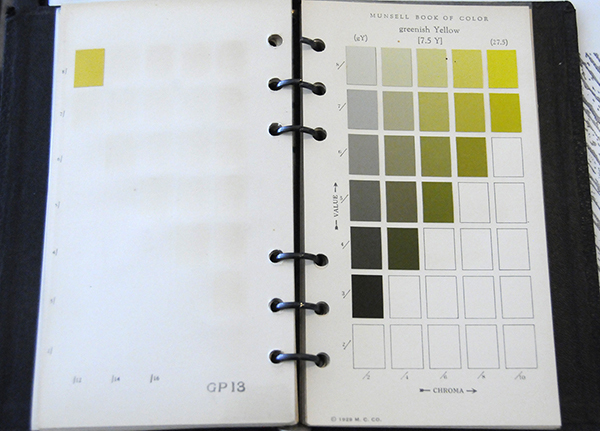 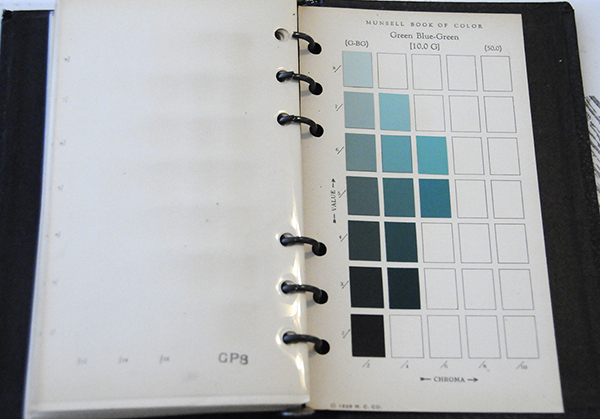 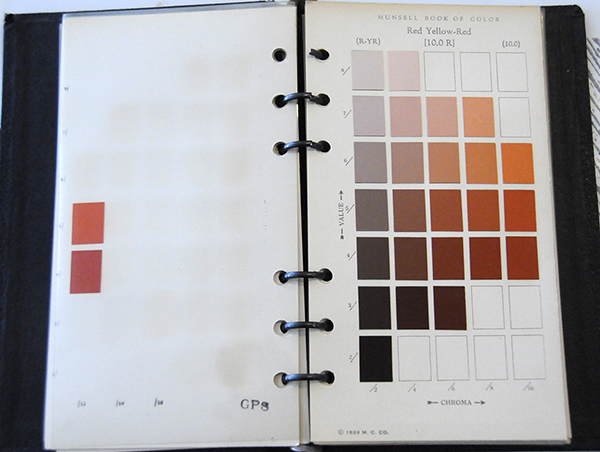 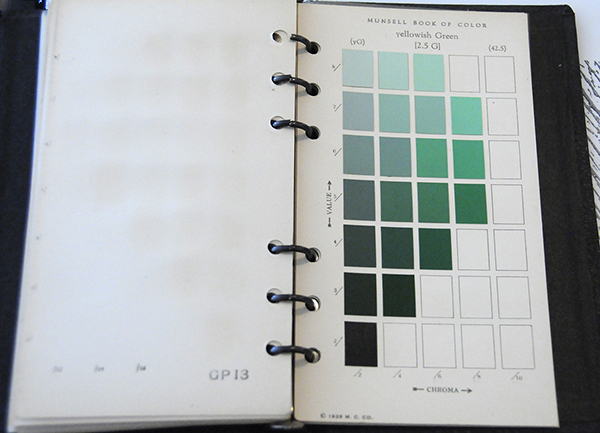 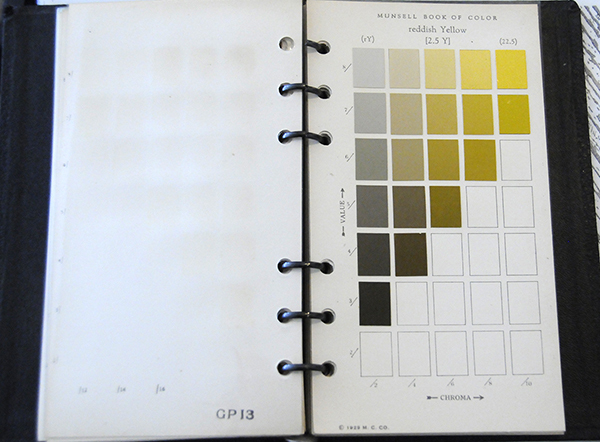 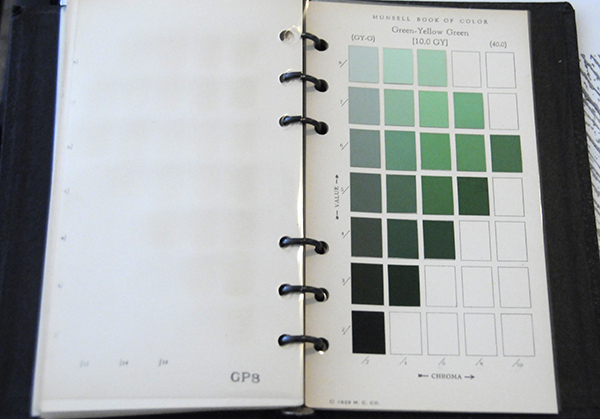 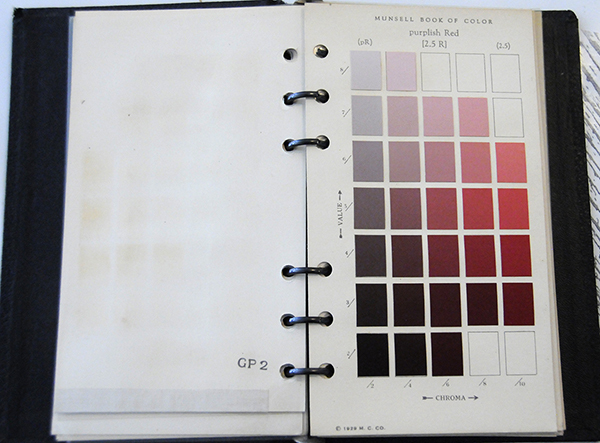 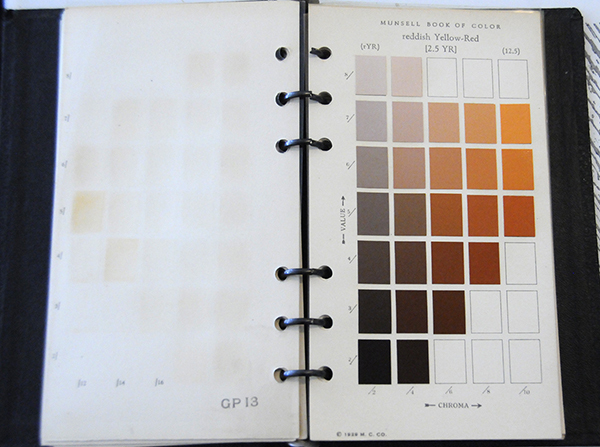 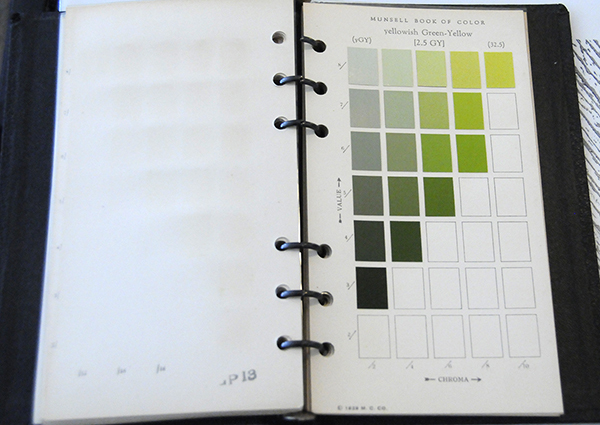 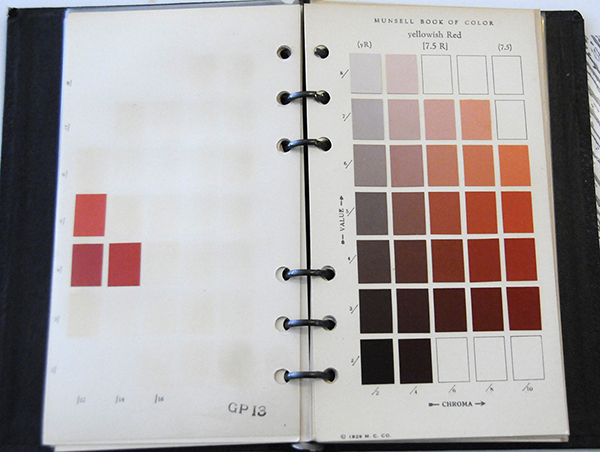 Check out Directions for the Use of the Charts: Munsell Book of Color Pocket Edition.